Barcelona have emerged as surprise candidates to sign Manchester United’s Daley Blind. The Dutch defender is under contract at Old Trafford until June 2018, but appears to have fallen out of favour with Jose Mourinho, making just 12 appearances for United in all competitions this year. 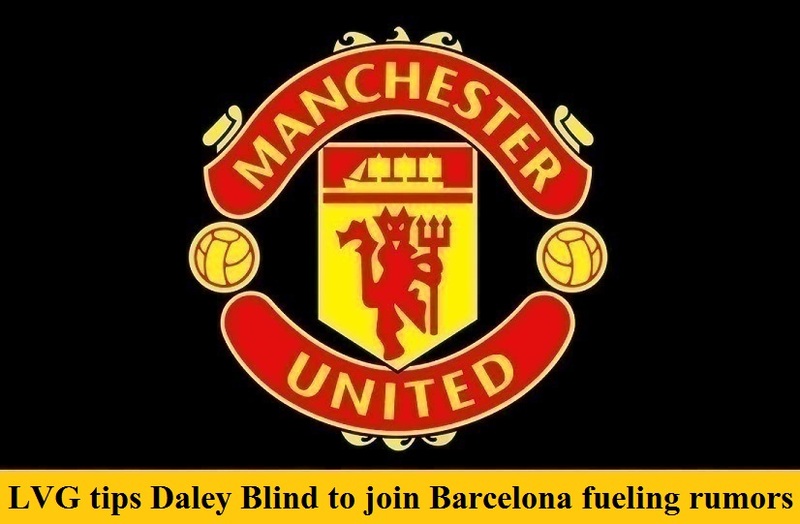 Former Barcelona and Manchester United boss Louis van Gaal, who has worked with Blind at United and with the Dutch National team, has also tipped the 27-year-old to join the Catalan giants. “He can operate as a central defender who builds up the play. He can be a defensive midfielder or an attacking left-back. Daley can do it all. Understandably Van Gaal, has Daley Blind in his good books, having worked with his father. Now it appears that the Catalan club may be ready to offer Blind a lifetime, as manager Ernesto Valverde looks to strengthen his defensive options. Samuel Umtiti, who has been one of the stars of La Liga so far this season, is injured, whilst veteran Javier Mascherano is being linked with a move to China. Real Sociedad’s Inigo Martinez is also on Barcelona’s radar, as is Blind’s fellow Dutchman Stefan de Vrij, currently plying his trade with Lazio. The versatile Blind, who can also play in midfield, joined United from Dutch side Ajax in a £14 million deal, and has scored 6 goals in 137 appearances for the Manchester club. He is the son of former Ajax defender and Dutch national team manager Danny Blind.